Fencing Companies in Southern Maryland offer winter safety tips. Winter Time Safety Articles brought to by by one of the premiere fence companies in Southern Maryland, Clinton Fence. Charles County MD : One of the more popular wintertime activities, sledding attracts scores of participants every time a new coating of snow covers sloping hills. Although sledding can be fun, it also can be risky. The United States Consumer Product Safety Commission says there are thousands of sledding-, snow tubing- and toboggan-related injuries each year. The majority of injuries occur to children age 14 and younger. Young children are vulnerable to injury because they have higher centers of gravity that can cause them to lose balance more readily. Youngsters’ coordination is not fully developed as well, which makes it difficult for them to steer and avoid obstacles. When sledding, winter revelers big and small need to put safety first before racing down those slopes. Check the sledding space carefully for any obstacles, including waiting children at the end of the run. 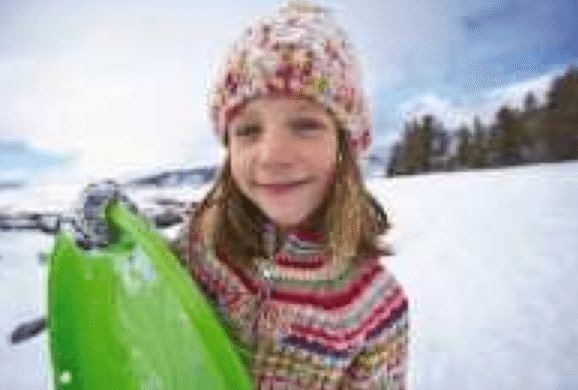 The Center for Injury Research and Policy at Nationwide Children’s Hospital says a vast number of sledding injuries are caused by collisions. These occur when a sledder bangs into something, like a fence, tree or another person. Bone fractures are twice as likely to occur from a collision than from falling off a sled. Making sure the coast is clear helps sledders avoid collisions. Treat sledding as you would any activity that involves a moving device. That means making children wear helmets to prevent head injuries. Head and neck injuries are common among children six years old and younger. Helmets considerably reduce injuries when worn correctly. · Choose the right sled. Sleds that can be steered with handles are generally safer than snow disks or flat sheets heading down a hill. Handles can prevent falls off of the sled, as they give a child something to hold onto. Children should be instructed to always go down a hill feet-first. This way, should they encounter any obstacles, their boots will hit it first and not their delicate heads and necks. · Follow the sled safety guidelines. Read the instructions and safety guidelines for your sled. Heed the recommendation for the number of passengers on a sled at one time. · Check the end of the slope. Do not sled on driveways, hills or slopes that end in a street, dropoff or pond. · Only allow sledding under adult supervision. Children should have an adult with them at all times when sledding. Two adults is preferable because one can stay with a child should he or she become injured while the other goes for help. Never sled in the street or on a highway. Do not ride a sled being pulled by a motorized vehicle. · Sled only during daylight hours. Unless sledding will occur in well-lit areas at night, it should be done during the day when visibility is best. Sledding can be a demanding physical activity. Dress in layers that can be removed if you get too warm. Sweating while sledding increases your risk of hypothermia. Adjust clothing layers accordingly for comfort. Sledding is an enjoyable winter activity that can provide hours of fun and exercise. Sled safely so injuries do not ruin an otherwise festive afternoon. If you need a fencing company in Southern Maryland this winter we hope you’ll call Clinton Fence. Check back to this website often to see other helpful information. Service Areas: Charles County, St. Mary’s County, Anne Arundel County, Calvert County and Prince Georges County. 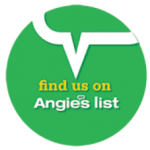 We also service parts of Northern Virginia and Montgomery County.